the luxury wedding of C&J who traveled to Prague for their beautiful, intimate wedding. Lovingly captured at Prague Castle after sunset. Many couples who have visited Prague know of its incredible beauty and charms. 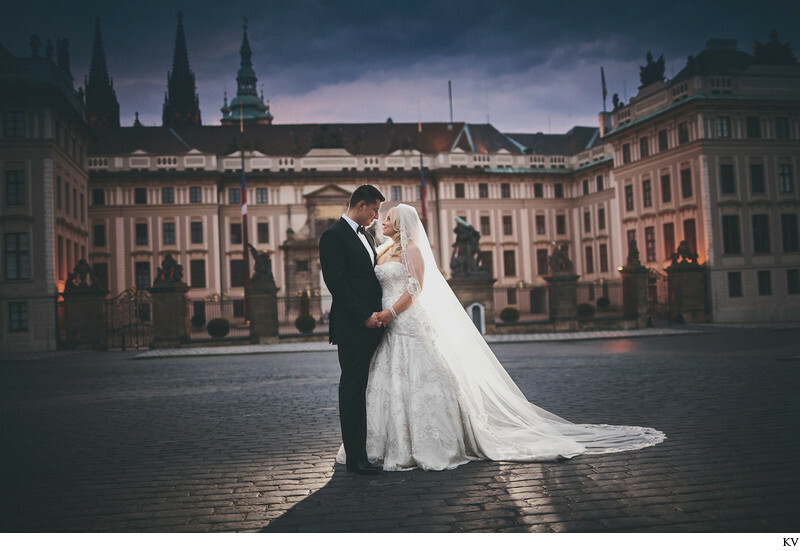 Though C&J live in Canada, both of their families trace their lineage to the Czech Republic - as they have always dreamed of returning here and marrying here. Having the nearly deserted Prague Castle and it's main castle devoid of people - the same gates that has seen centuries of unforgettable moments, was in a word: amazing. Location: Hradčanské nám. 182/5, 118 00 Praha-Praha 1, Czech Republic. Keywords: Castle portraits (9), fine art wedding (15), Luxury Weddings (120), modern weddings (39), night portraits (33), Prague Castle (297).